Daman’s first symptom was a 104° fever and an extremely swollen and painful lymph node on the left side of his neck. On the third day of his fever, I took him to his pediatrician which diagnosed him with a lymph node infection and prescribed antibiotics and sent him home. Later that night, he began vomiting and having excruciating stomach pains which lasted for about 6 hours. The next morning he woke up completely covered in a horrible rash. At this time we took him to our local ER where we waited for another 5 hours for them to diagnose him. Still, without a diagnosis, he was transferred to the specialty care unit of a children’s hospital 4 hours away. 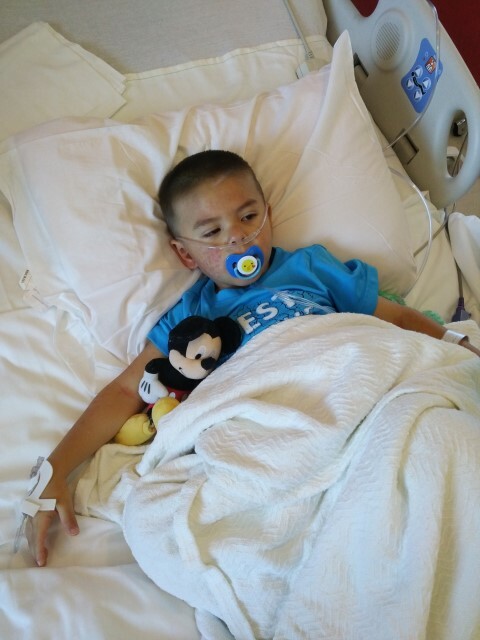 About 9 hours after his arrival at the children’s hospital he was diagnosed with Kawasaki. He was started on the first round of IVIG later that night and seemed to have improved the next morning but the following afternoon all of his symptoms returned so he had to have a second round of the IVIG treatment which thankfully was successful. He spent a total of 7 days in the hospital but is now home thanks be to God! Daman was misdiagnosed, thankfully, only one time by his pediatrician. He was treated for an infection of his lymph node and was prescribed a very high dose of antibiotics. He is finally home but still taking aspirin and being monitored weekly by his pediatrician and cardiologist. We are hopefully for a full recovery but we’re told it is a long road. I had never even heard of this disease when my son was diagnosed and it breaks my heart for any parent to have to go through that. I would really like to raise awareness of this disease.